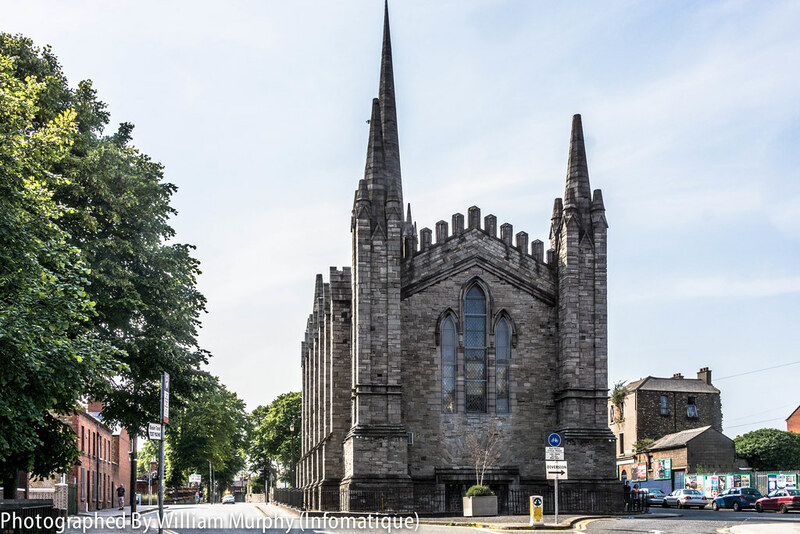 St. Mary's Chapel of Ease, universally known as the Black Church, was built in 1830 and was designed by John Semple. The nickname is thought to have originated due to the gloom of interior, rather than the dark-grey colour of the exterior - the building has very thick walls and narrow windows. 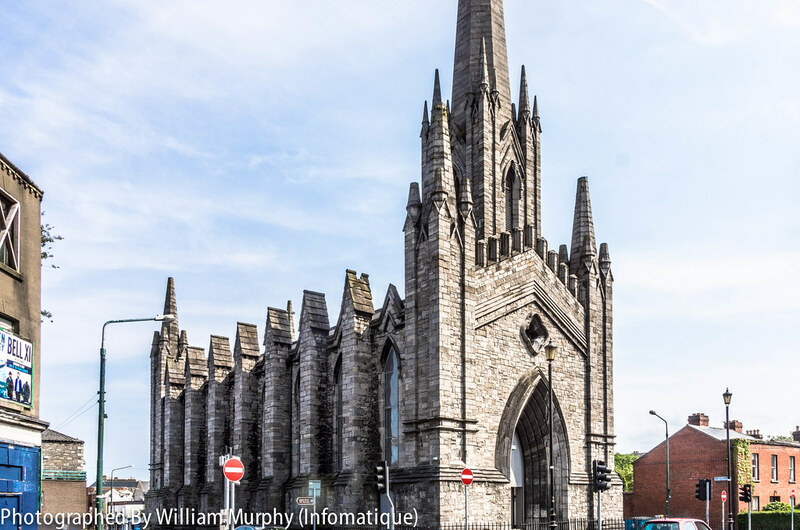 An interesting feature of the church is that it has no distinct walls or ceilings inside, the interior consisting entirely of a parabolic arch. Legend has it a person walking anti-clockwise with one's eyes closed, two or three times around the church at midnight, reciting the 'Hail Mary' backwards will meet the Devil. However it is highly likely that this was merely an old wives' tale, created on account of the church being Protestant. 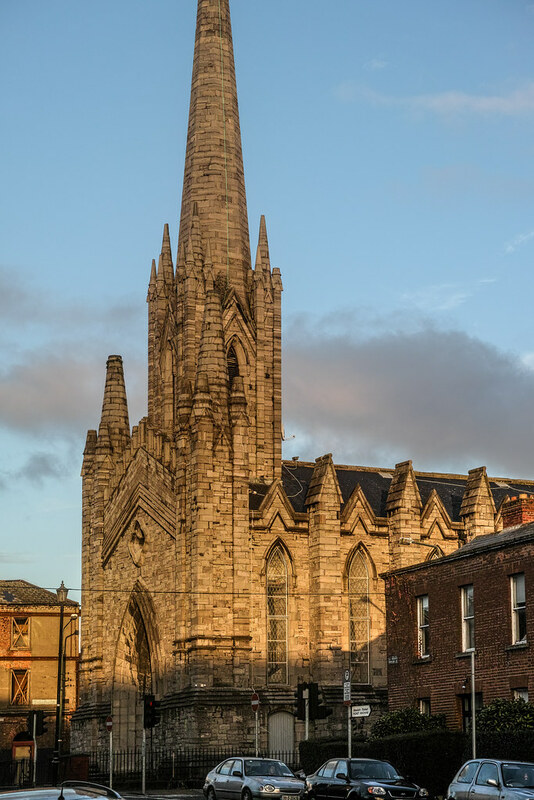 The striking building no longer has a religious function and is presently used as office space. 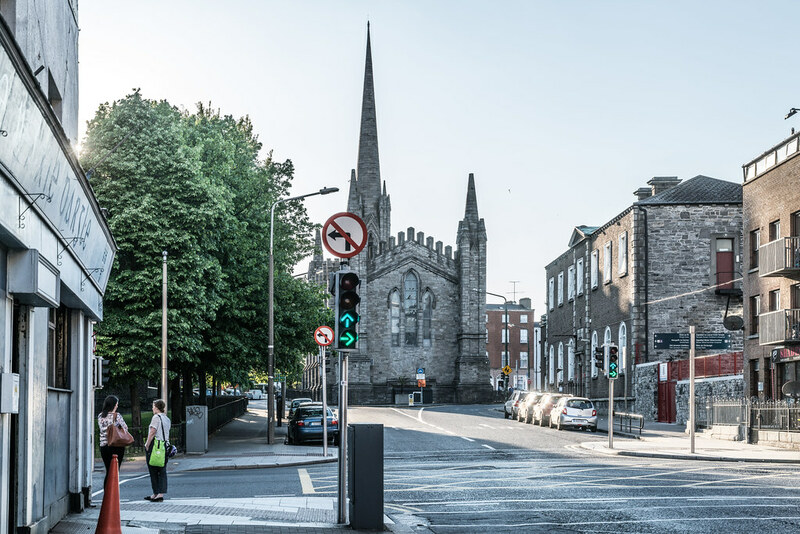 The Black Church is mentioned briefly in the novel Ulysses by James Joyce, in the chapter entitled "Oxen of the Sun", as the location of one of Bello's many sins: He went through a form of clandestine marriage with at least one woman in the shadow of the Black Church. Joyce lived for a few months in Broadstone, at 44 Fontenoy Street, one of the Joyce family's many temporary homes around Dublin. He stayed there with his son Giorgio from July to September 1909 and again alone from October 1909 to June 1910 while trying to set up the first cinema in Dublin. It was also used in the title of the first volume of memoirs of Austin Clarke, "Twice Round the Black Church" (1962). Clarke grew up in Broadstone, living on Middle Mountjoy Street. Both Clarke and Joyce attended nearby Belvedere College. The church interior has been totally refurbished and is now a suite of offices.